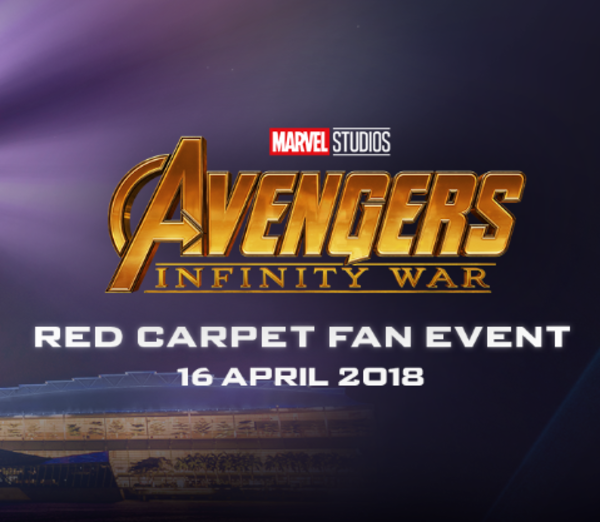 Stand a chance to WIN tickets to this Marvel Studios’ Avengers: Infinity War Red Carpet Fan Event! Follow these simple steps and COMMENT below the contest post to participate. Follow Petron Malaysia on Facebook and Instagram. Which 3 Marvel Studios' Avengers: Infinity War ACTORS are making special appearances in Singapore? Tell us why YOU deserve to WIN this once-in-a-lifetime opportunity, powered by Petron. Share your love with us! The most creative answers will WIN a pair of tickets to this red-carpet fan event on April 16 in Singapore, brought to you exclusively by Petron. Don't forget to include these 3 hashtags with your answers when commenting. Winner Announcement will be posted on Petron Malaysia Facebook page on 10 April 2018. All winners must make themselves available on 16th and 17th April 2018. The assigned pick up locations will be across 5 states : Penang, Ipoh, Kuala Lumpur/Selangor, Malacca and Johor.